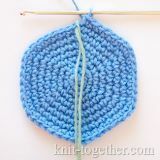 Knit Together | Crochet Granny Square Pattern #1 Photo, description and crochet chart. 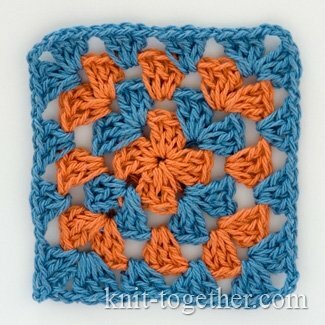 Here is a traditional Granny Square, which is made of double crochet stitches. 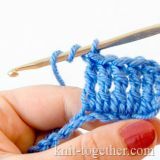 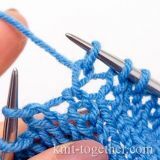 We make the granny square from the centre, for this need beforehand make an initial ring using sliding loop or chain of chain stitches. 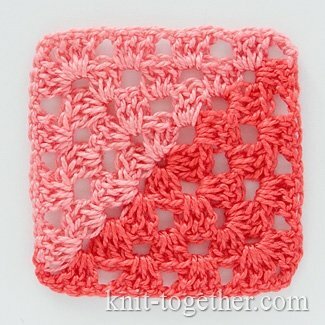 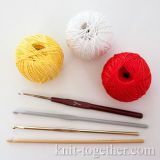 We crochet the motif in a round, and don't turn the work. 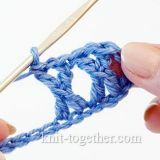 The next row of granny square we start from one of the corners. 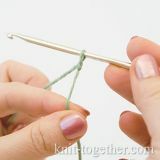 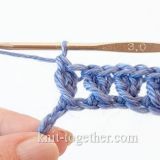 4 round: 3 turning chains, 2 double crochet in space of half double crochet, 1 chain, 3 double crochet in space of chain of previous row, 1 chain, 3 double crochet in space of chain, 1 chain, * 3 double crochet in space of three chains of previous row, 3 chains, 3 double crochet in same space, 1 chain, 3 double crochet in space of chain, 1 chain, 3 double crochet in space of chain, 1 chain * - repeat 3 times, 3 double crochet in space of chain, 3 chains, join with slip stitch in last turning chain.